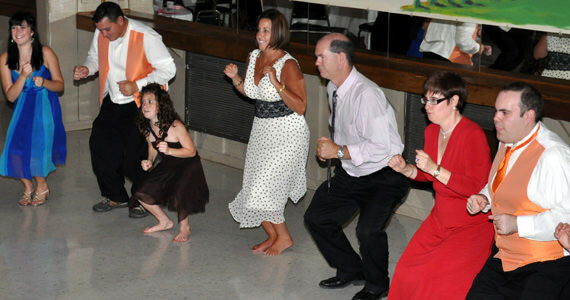 On Saturday July 11th 2009 we were at Coleman Hall at The Tanglewood Senior Center in Butler PA. 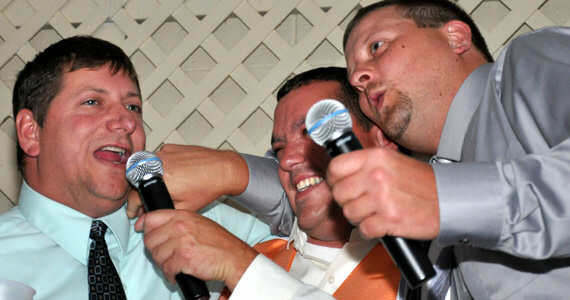 The event was a wedding reception for Steven & Michelle Benson. 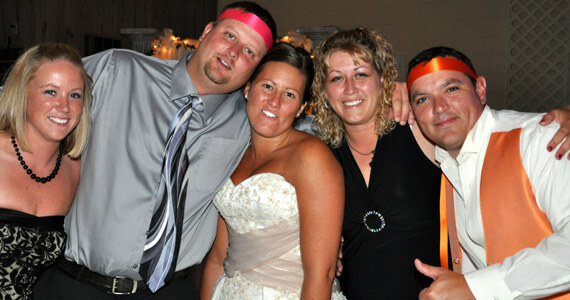 Steven and Michelle were married at 2:00 pm at St. Peter’s Catholic Church in Butler PA. Guests began arriving at Coleman Hall shortly after 3:00 pm where they enjoyed appetizers and hors d’oeuvres. The bridal party arrived around 4:30 pm at which time we formally introduced them into the hall. Michelle & Steven then played the Newlywed Game followed by toasts by the best man Mr Shayne Doyle and matron of honor Mrs Carey Doyle. Dinner was catered by Cowoski Catering from Butler PA and was served buffet style. I have worked with Cowoski Catering a few times over the years and have always been impressed with their service. They not only provide excellent food, they are very professional with regards to appearance and presentation. All of their tables were elegantly dressed with white linens and black pleated skirting. Chafing dishes were all neatly arranged and everything just looked great. After dinner, Steven & Michelle shared in their first dance as husband and wife to “Wonderful Tonight” by Eric Clapton. 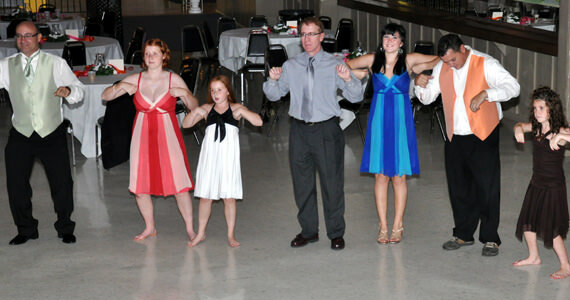 They then danced with the bridal party to “Whatever It Is” by Zac Brown Band. 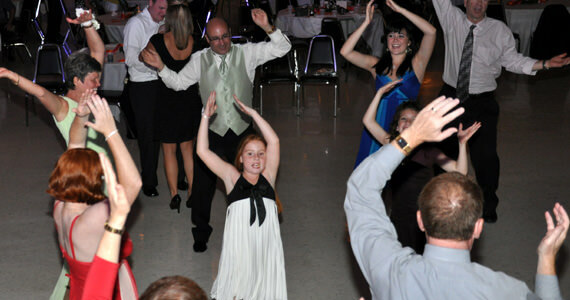 Michelle chose “I Loved Her First” by Heartland to dance with her father Mr. Mike Lupi. Mike Lupi has been to several events where I was the disc jockey. He works at Butler Color Press and we have provided entertainment for their corporate Christmas Party several times through the years. 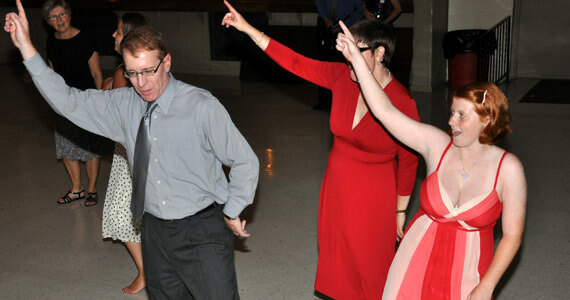 During the remainder of evening, guests danced to music from Usher, Bon Jovi, Journey, and more. 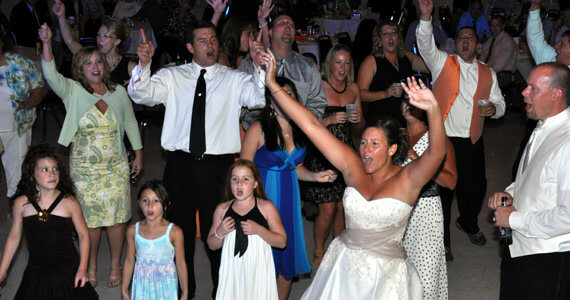 The wedding reception lasted for 6.5 hours and wrapped up at 9:30 pm as guests danced the last dance to “I Cross My Heart” by George Strait.